We are pleased to inform you our private show in Kyoto. Please save the date and visit to see our products. MOLFO exhibited at Maison & Objet January 18-22 2019 in Paris. 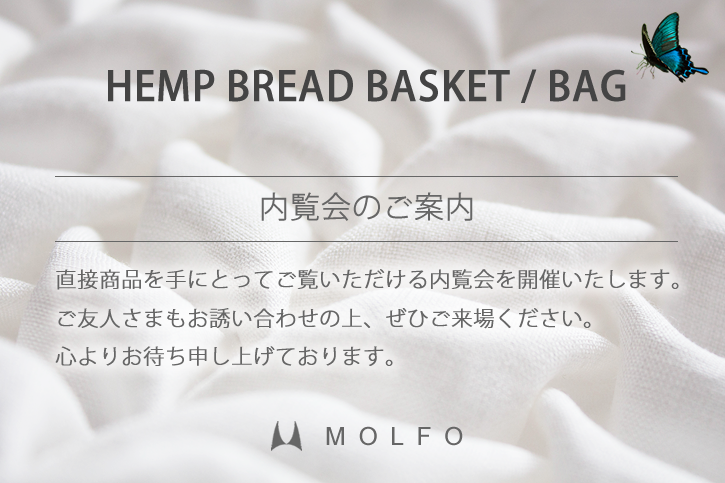 These beautiful handmade breadbaskets are mean for bread, but they are light in weight and soft in touch, so they are also suitable for keeping delicate things. They were presented three uses for FOOD, BEAUTY/SPA, FASHION including new products.